Wella Professional Color Recharge Red Conditioner 200ml BN unopened. FITS ALL WELLA 1000ml BOTTLES. Apply after shampooing. Massage and leave for 5 minutes. Rinse out. Light and high conditioning levels available. Silk extract. This Pump fits 1000ml Wella Professionals. Wella Professionals. 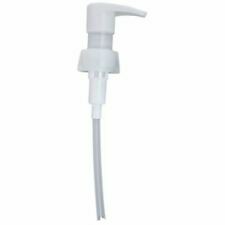 1000ml Shampoo/Conditioner Pump. Contains an innovative double-phase formula. Phase 1 effectively helps to protect the hair against UV rays while phase 2 contains a vitamin complex that hydrates the hair. Leaves the hair irresistibly healthy-looking and soft to the touch. High-performance UV protection for before and during sun exposure. 150 ml. Instantly helps to provide a deep repairing effect, leaving the hair irresistibly healthy-looking and soft to the touch. Deep repair for after sun exposure. 200 ml. Its skin-friendly pH balance gently removes impurities and soothes tension and irritation on the scalp. After use, the scalp feels calm and comfortable, and hair looks noticeably thicker and healthier. The delicate reconstructive elixir transform the hair with a new texture. The fusion of oils infuses into the hair structure to transform hair from the inside and out and protects the keratin, leaving instant and long lasting smoothness. Need help or advice?. View Related Products. Marke Wella. Explore the all-new fusion care collection. EDDS technology, micronized lipids with silk amino acids. In wet hair and rinse thoroughly. Produktart Shampoo. Fusion care series. Produktlinie Fusion. Free from paraben and other harmful ingredients, this lightweight conditioner gets to work on hair, strengthening each fibre whilst protecting it from keratin degeneration. Directions Of Use After shampooing apply conditioner to clean, damp hair. INVIGO color brilliance with color brilliance composition: copper binding molecules get the luminosity. Produktlinie Invigo. Marke Wella. For a great hair feel and brilliant shine. Give to damp hair and lather up. Expect revitalised, vibrant and quenched locks. 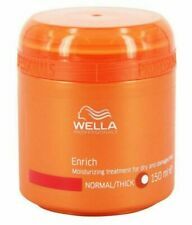 Wella Professionals Nutri-Enrich Deep Nourishing Shampoo 1000ML / 1 Litre. Up to seven weeks colour protection. With Anti-Oxidant Shield Technology. Enhances and maintains colour vibrancy. Protect your color with the new and enhanced Wella Professionals Brilliance Shampoo for long lasting and healthy looking color. With new Microlight Crystal Complex Technology, specially designed to enhance the brilliance of Wella Professionals colors. Brilliance Shampoo (For Color-Treated Hair) 250ml. A lightweight color preserving shampoo. Leaves hair sleek & vigorous with rich brilliant color. Ideal for fine to normal color-treated hair. Marke Wella. Explore the all-new fusion care collection. EDDS technology, micronized lipids with silk amino acids. In wet hair and rinse thoroughly. Produktart Shampoo. Fusion care series. Größe 201-300 ml. Produktlinie Invigo. Marke Wella. Produktart Shampoo. Give to damp hair and lather up. Rinse thoroughly. Größe 401 - 500 ml. Leave for five minutes. Distribute evenly through pre-shampooed towel-dried hair. The shampoo leaves locks cleansed, smooth and resilient. Hair is visibly healthy and renewed. Need help or advice?. View Related Products. 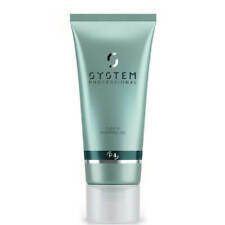 Specially formulated to hydrate the hair without overpowering or weighing it down Hydrate Mask contains Wella SP’s. Wella SP Hydrate Mask. If desired intensify effect with heat. Refresh and protect your hair with Wella Sp Color Save Conditioner. Ensure long-lasting colour brilliance and provide daily care protection against colour fading and colour shifting with Wella SP Color. The conditioner leaves locks manageable, smooth and resilient. Hair is visibly healthy and renewed. Refresh and protect your hair with Wella Sp Color Save Shampoo 250ml. Ensure long-lasting colour brilliance and protect against colour fading and colour shifting with Wella SP Color. An essential component of the SP Color Save line, Wella SP Color Save Shampoo is formulated with 3D Colour. Marke Wella. Explore the all-new fusion care collection. Intensively nourishing ingredients with silk amino acids. Fusion care series. Produktart Mask. Produktlinie Fusion. Maßeinheit 100 ml. Give to damp hair. 1000ml cabinet size for best value! Light weight shampoo the your hair thoroughly cleans. With Edds and silk amino acids. Soothing cleansing. Wella SP Balance Scalp Shampoo 250ml. Directions – Massage evenly into damp hair. Rinse thoroughly. For a clear and cool shine. Massage into wet hair for 3 to 5 minutes and rinse thoroughly. Apply regularly for optimal results. Produktart Shampoo. Größe 201-300 ml. Maßeinheit 100 ml. It is free of sulfates, parabens and artificial colors. They make conscious choices that suit their healthy lifestyle and are looking for more natural alternatives, without compromising in product performance. Marke Wella. The hair gets a healthy shine and great softness. Shampoo with precious oils. Massage into wet hair and rinse it thoroughly again. - Deep down. Submitted by EAN: 4015400792611. -all hair types. Wella SP system professional hydrate shampoo. Marke Wella. SP hydrate line with their exclusive active Depot gives the hair long lasting hydration and active protection from drying out. Produktart Shampoo. Marke Wella. Intense shampoo. Enriched with silk amino acids, EDDS technology, micronized lipids. Brittle, broken hair is built up intensively maintained and repaired. Distribute in your wet hair, lather up and rinse thoroughly. Wella SP System Professional Purify (P3) Mask 200ml. & 10 x 15ml System Professional Purify (P3) Mask Sachets. Directions – Apply to the scalp. Gently massage, leave 5 minutes and rinse. Marke Wella. restorative shampoo. With natural tree extract, it provides more vitality. Her hair is much stronger and more vital. Also suitable for colored hair. Massage into wet hair, rinse. Maßeinheit 100 ml. Wella Professionals INVIGO Color Brilliance Conditioner for Fine Hair 200ml. WELLA PROFESSIONALS BRILLIANCE CONDITIONER. Amplify your colour with the INVIGO Color Brilliance Conditioner for Fine Hair from Wella Professionals. Color Radiance. To damp hair massage. Rinse thoroughly. If color-treated hair is not protected and it is exposed to Sun, water or heat, it can be porous. Result: The color fades and the gloss wears off. Wella Professionals Sun Hair and Body Shampoo is formulated for use after sun exposure, gently removing impurities from sun-screen, salt and chlorinated water. Wella Professionals Sun Hair and Body Shampoo will leave you cleansed and refreshed with radiant results all over. Wella SP Silver Blond Shampoo 250ml. Gives a brilliant shine. Gently cleanses and cares for hair. Directions – Massage evenly into damp hair. Rinse thoroughly. For Color Treated Hair. Makes colored hair supple and soft while increasing shine with Liquid Crystal Technology. No exceptions. We are very serious against false claims. Any attempts with intend to manipulate our system will result in appropriate repercussions. About Wella Professional. Apply to damp hair and massage gently into a lather. Rinse thoroughly. Infused with Silk Extract this shampoo makes hair smooth & soft. Apply after shampooing. Massage and leave for 5 minutes.